You are here: Home / Uncategorized / A TREEmendous few months! The last few months have flown by, so much so that I haven’t blogged since September, and I bloomin love a good blog! 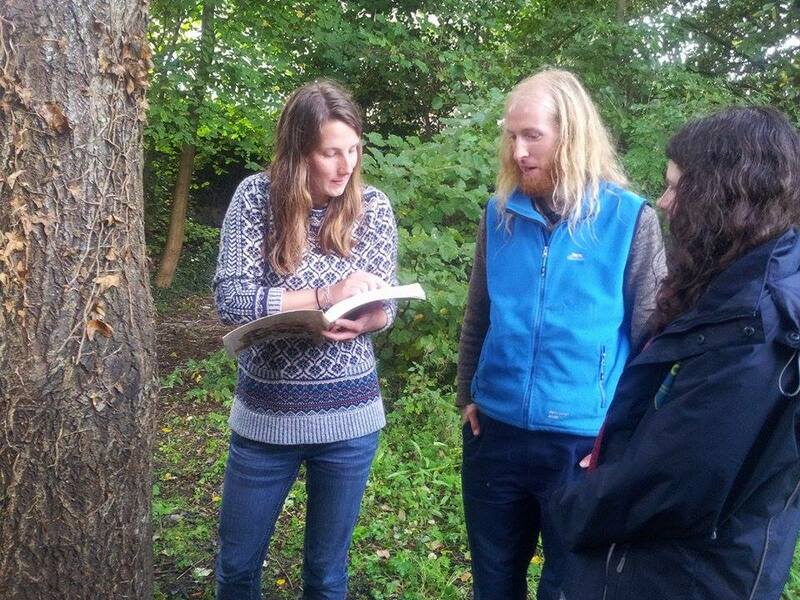 I’ve been super busy delivering Citizen Science workshops to the masses! 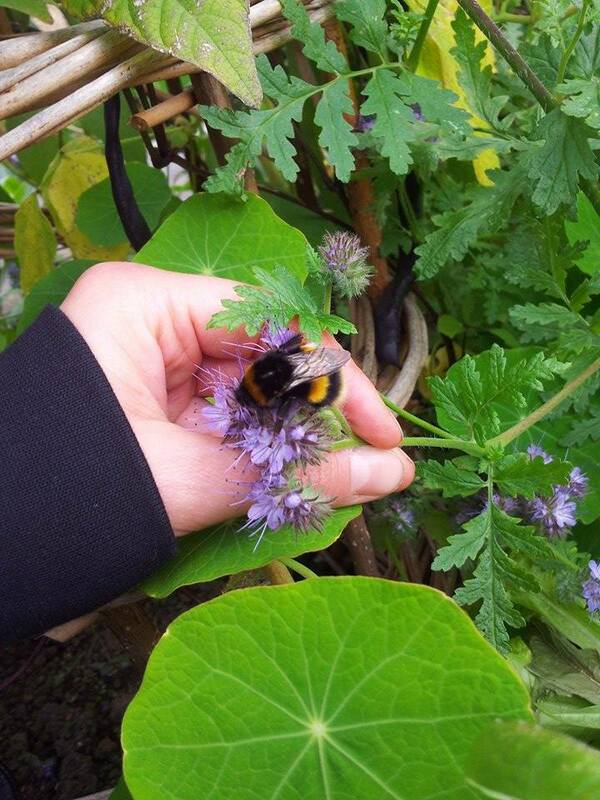 I have started running some wildlife workshops at Gartnavel Hospital with TCV’s Project Officer Mel who is based there. 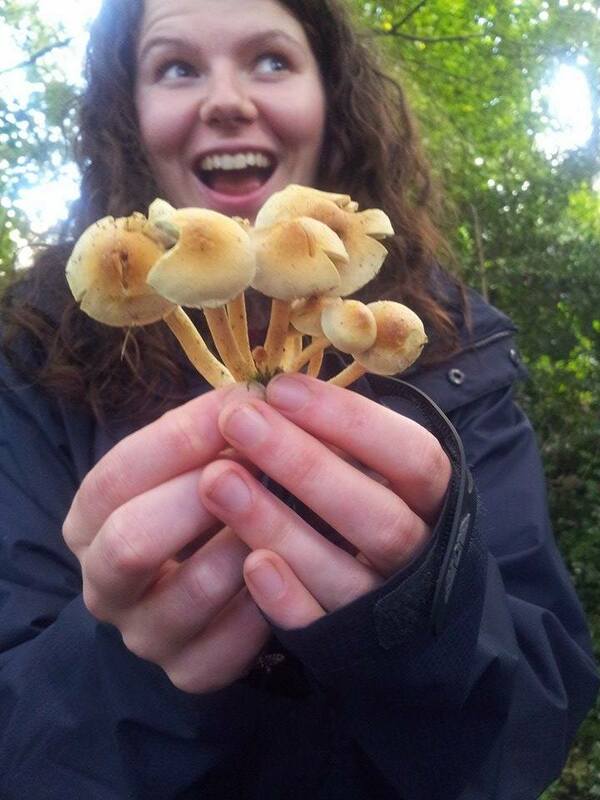 Mels role is all about getting more hospital patients and staff out exploring the amazing grounds around the campus and I am helping to get some biodiversity activities off the ground. This has included running themed lunchtime wildlife walks for staff. 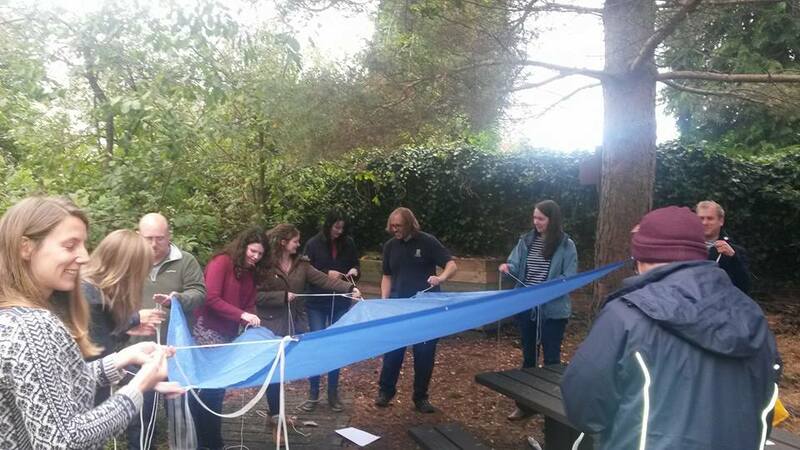 The first theme was water wildlife, a highlight of which was finding a leech in their local pond! 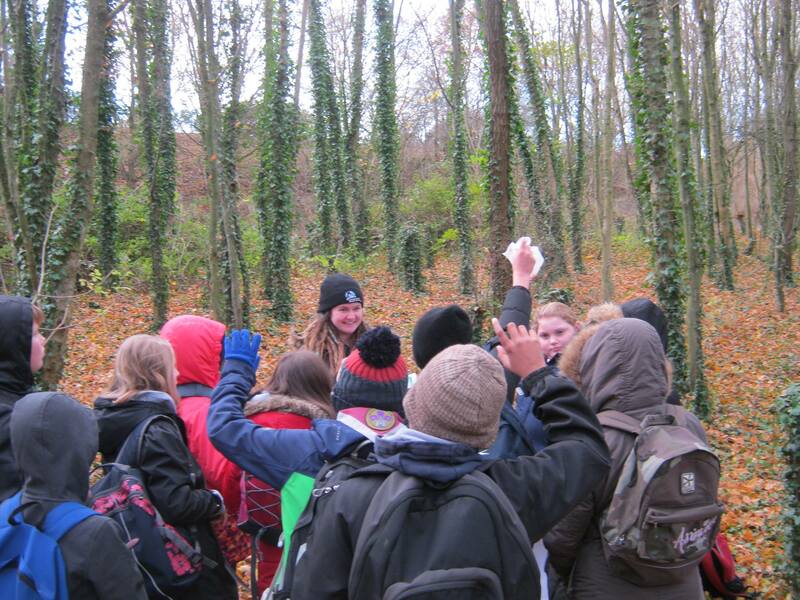 The second was a tree walk where the staff got to grips with tree ID and general tree knowledge. 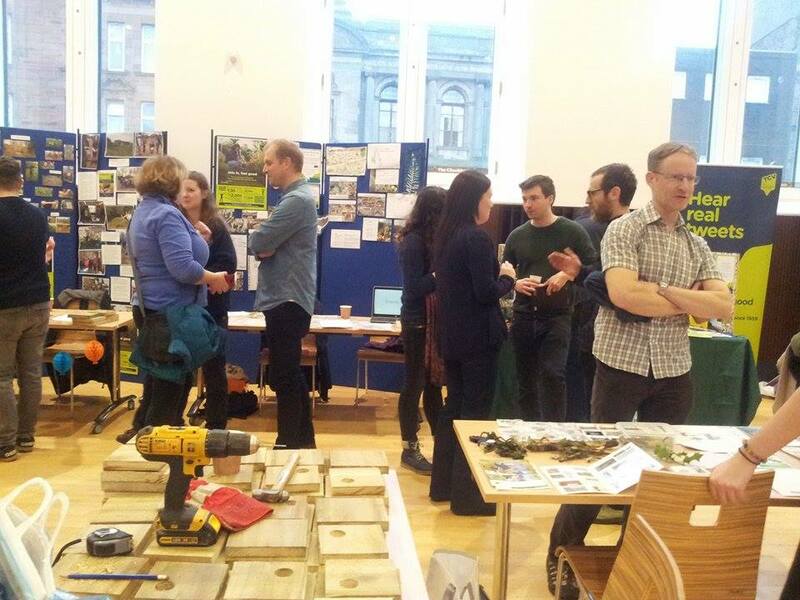 This year The Inner Forth Landscape Initiative hosted a conference on Invasive Non Native Species in Scotland. 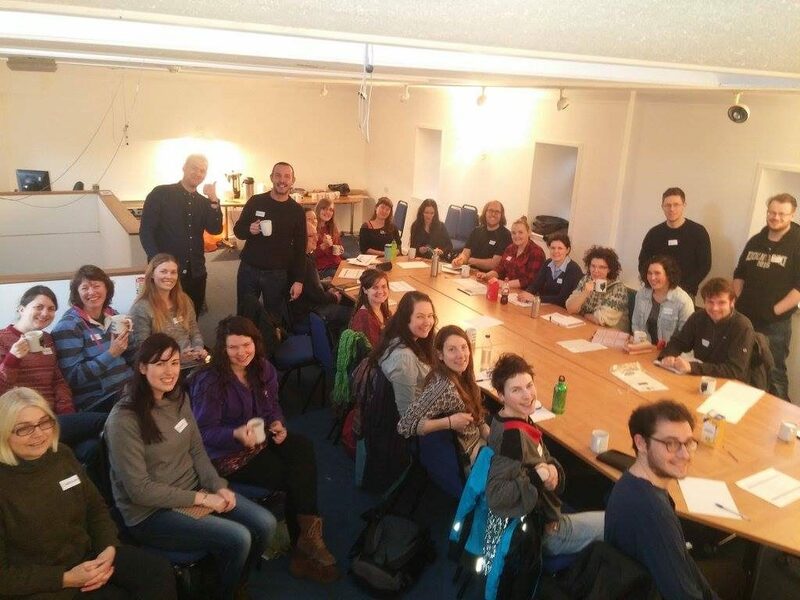 This was a remarkably informative day that many of the Scottish trainees attended. 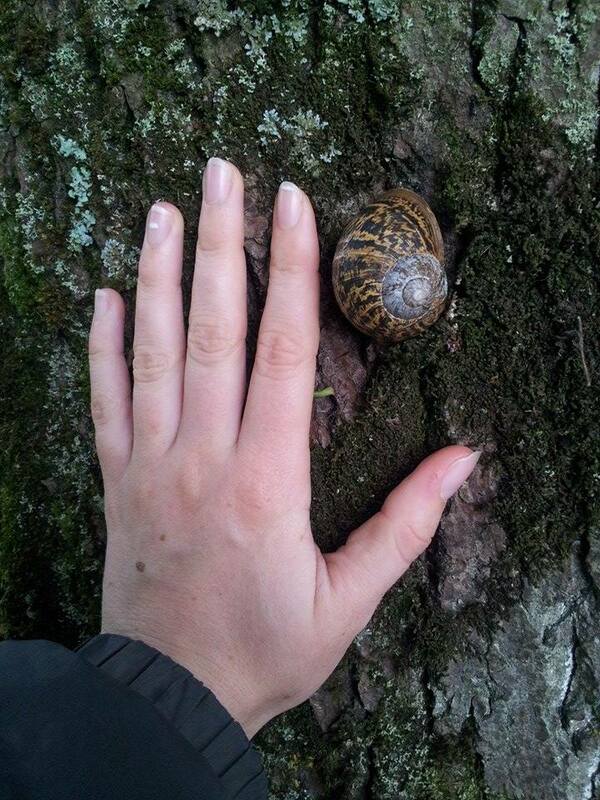 I was blown away by the huge threat invasive species are to biodiversity. 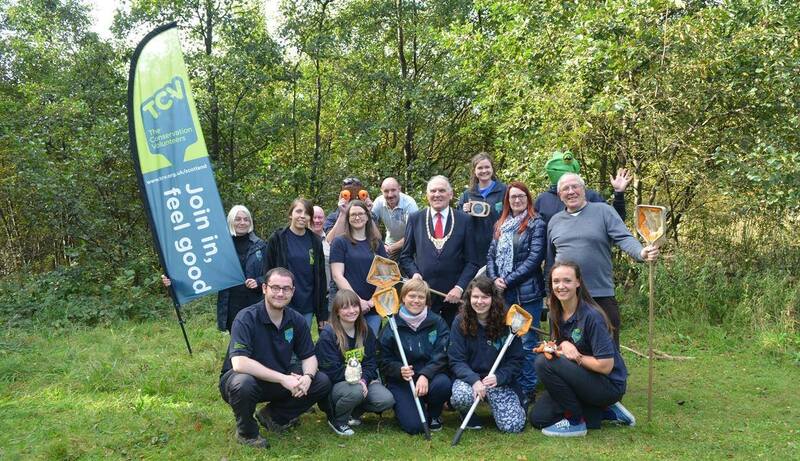 I also helped out at TCV’s Big Green Weekend at Jupiter Urban Wildlife Centre in Grangemouth where there were all sorts of green activities like pond dipping, bug hunting, storytelling and stick weaving. And well nice cake. Some of us got together and started plotting to organise a skill share amongst the trainees. We thought this would be a great chance to take part in a free training day where we could learn several different new skills and practice delivering workshops to each other. It ended up being a cracking day in Stirling, and even some of the London and Northern Ireland based trainees managed to come along. 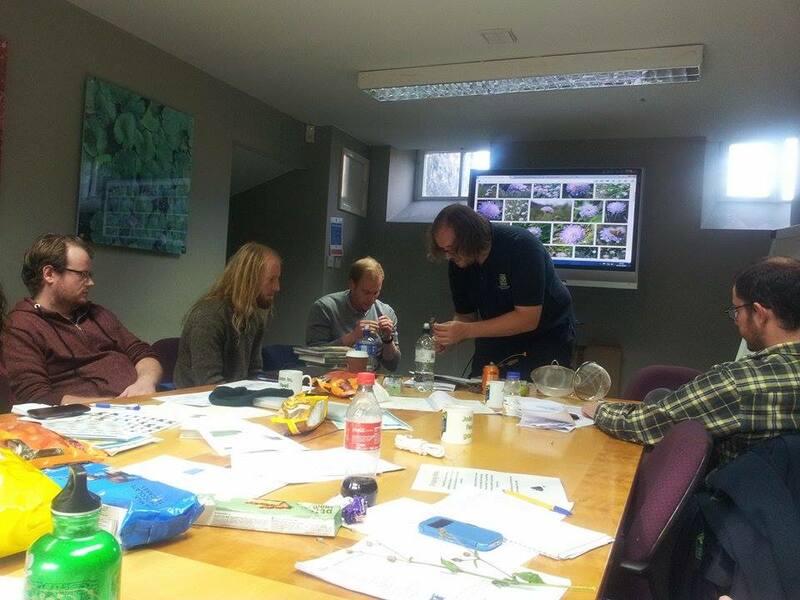 We had such a fun and varied set of workshops on topics including Fungi ID, Knots, Health Walks, Seed Collection, Common Invertebrates, Foraging, Wildlife Tracking, Environmental Games, and Forest Gardening. So I know that what’s really been lacking across all TCV blogs is more information about deadwood. Well, the wait is over. I have been working on creating a Citizen Science survey with Forestry Commission Scotland with the aim of helping to introduce more people to deadwood and encourage them to love it! The first group to trial the survey was the Shadoxhurst Baden Powel Scout group after they had planted a community orchard with Natural Networks Trainee Matt Mordaunt as part of National Tree Week. 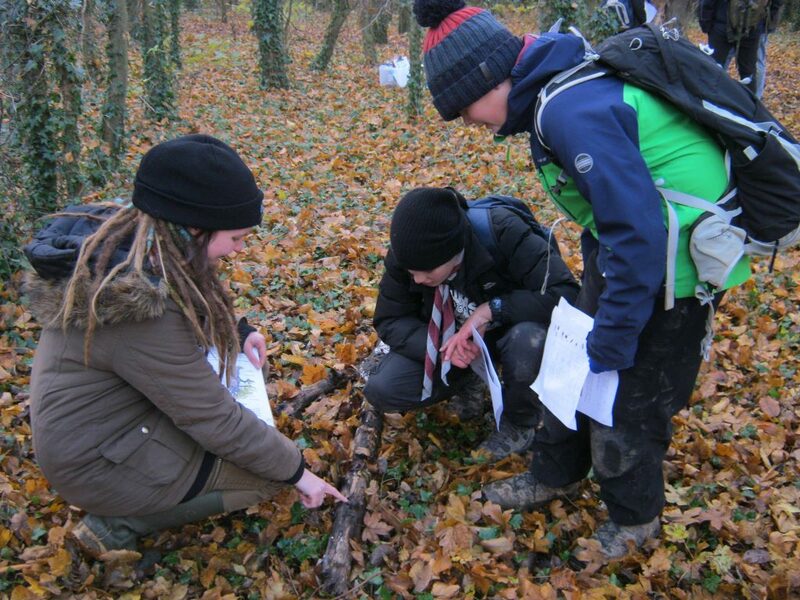 It was brilliant to see how captivated the scouts were by the subject of rotting wood! 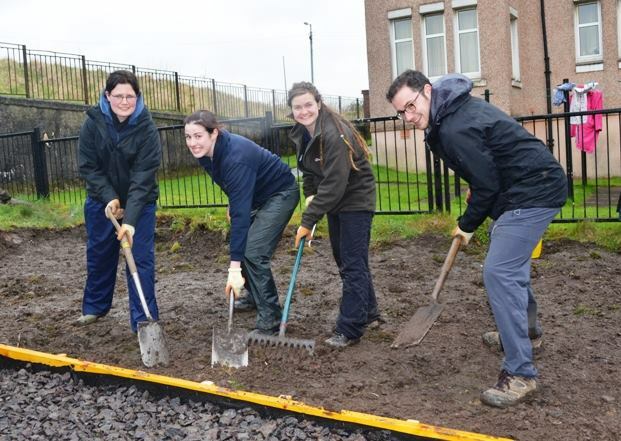 My partner in crime, TCV Citizen Science Coordinator Amanda Malcolm, and I then did the survey with Space to Grow, a community gardening group in Maryhill in Glasgow. Our trials were really promising and I am excited to see how the Deadwood Project progresses. Keep an eye out for our Deadwood dedicated blog that will be out soon with more details about just how dead good deadwood is! I have also learnt a new skill this month. 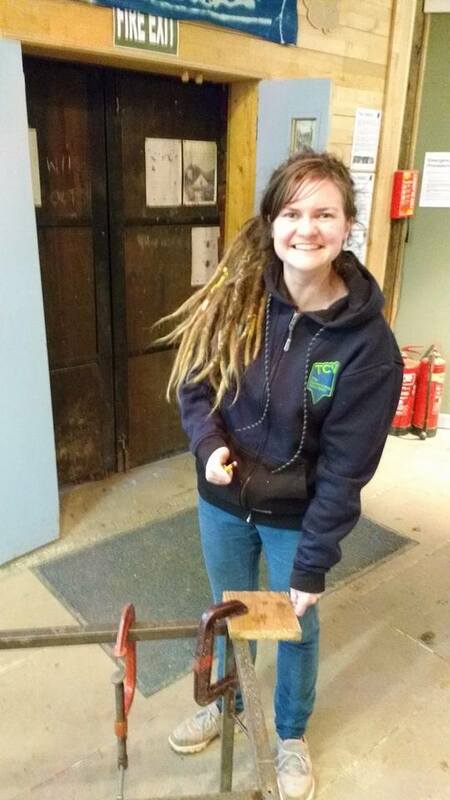 The brilliant Natural Networks trainee Clare Street, based at Stave Hill Ecology Park in London, is an absolute pro at wood work. 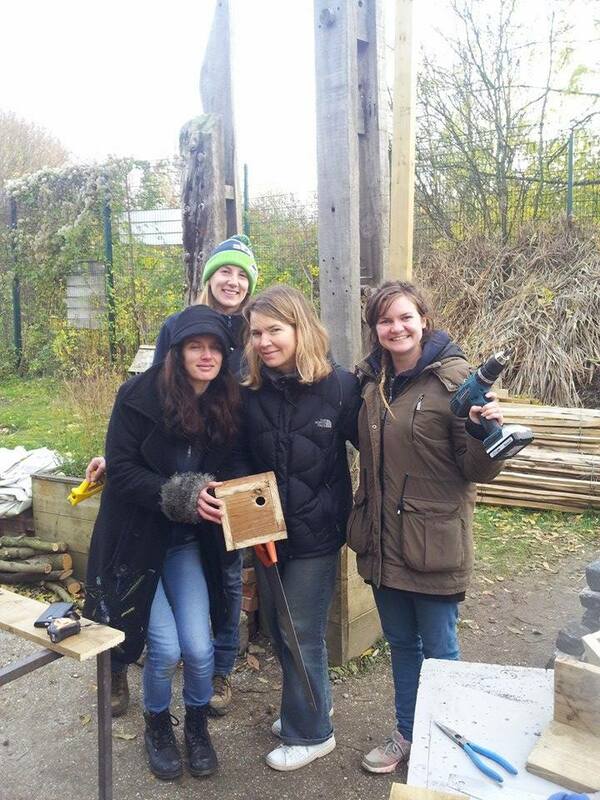 Me and fellow trainee Lizzy Naser from Railway Fields jumped at the chance to visit Clare on her patch and get some training in basic carpentry and using power tools to create bird and habitat boxes. 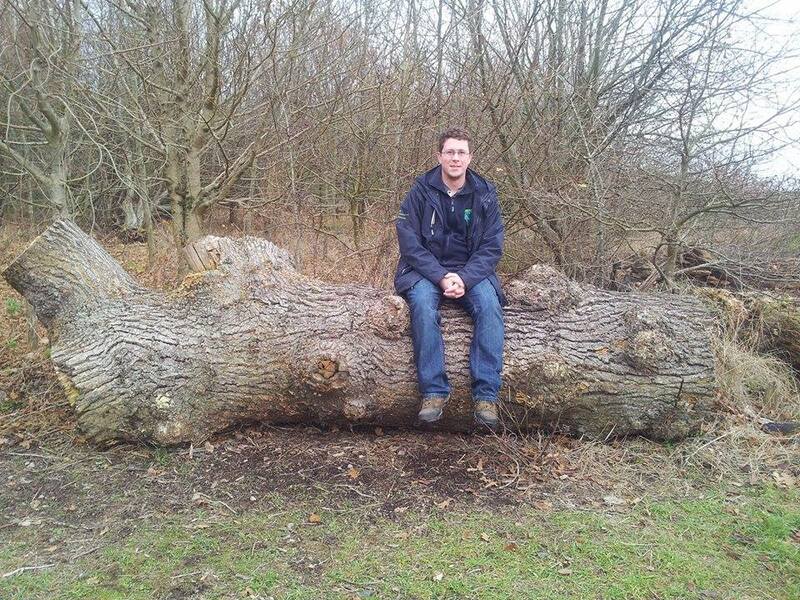 Stave Hill is a really inspiring hub of conservation and nature activity right in the city of London. It was wonderful to see all of Clare’s creative bug houses and volunteers hard work surrounding the centre. 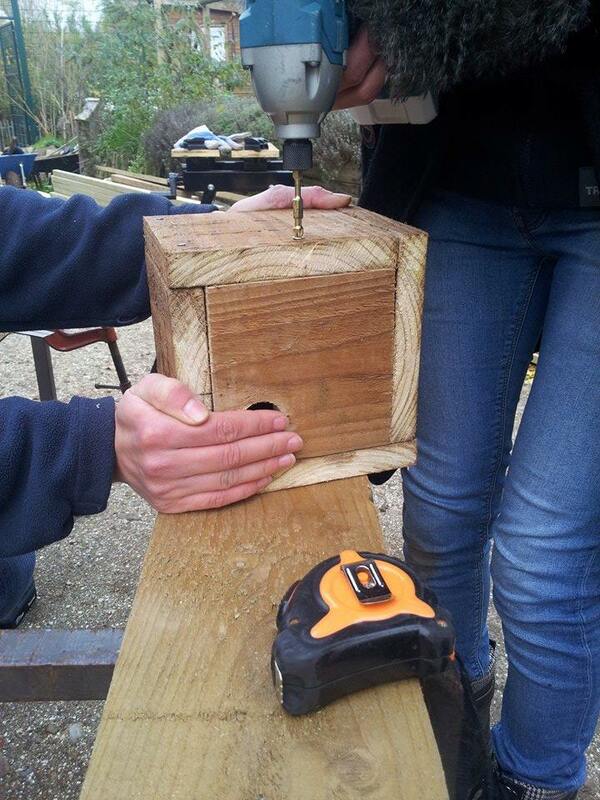 All this carpentry training was actually in preparation for the Natural Networks and Natural Talent Trainee Showcase 2016, which took place in Glasgow on the 15th Dec. This was an opportunity for all the trainees to get together for one last time and demonstrate to each other and the public what we have been up to over the last year. 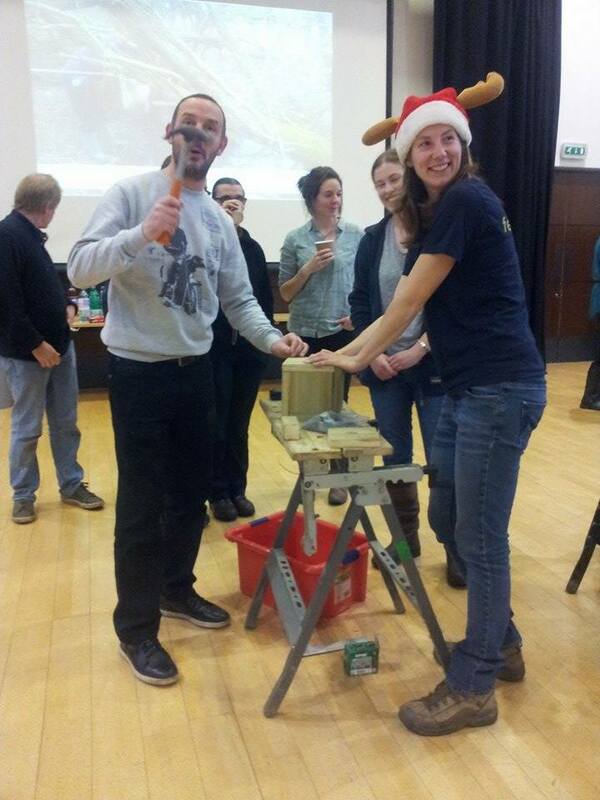 This was done through a variety of displays, workshops, and presentations and I joined Clare, Lizzy, Matt, and Delyth to deliver bird box building workshops to the public. 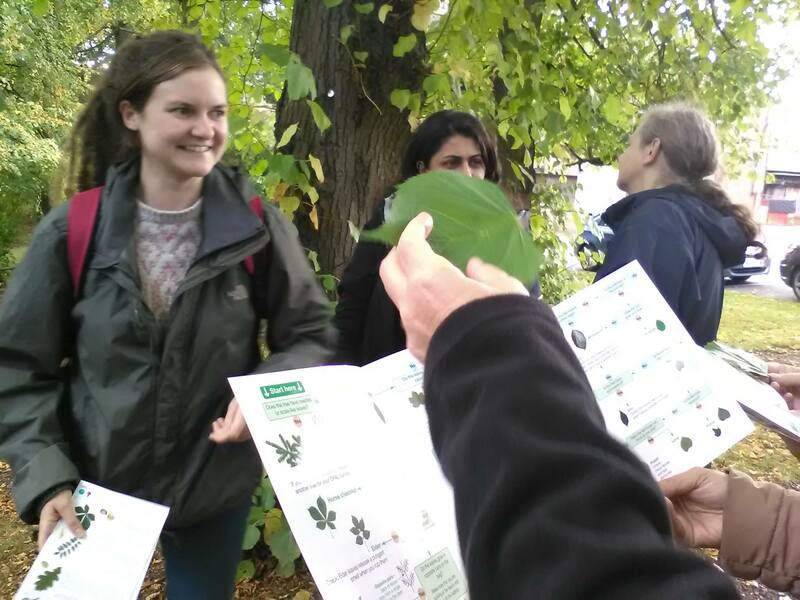 I was amazed by all the projects the trainees have been working on and I am proud to be part of an incredible year of learning and stroking trees. I’ll spare you the emotional farewell, instead I will leave you with some pictures that demonstrate just what a fantastic experience a traineeship with TCV has been, with some incredibly inspiring conservationists, educators, gardeners, scientists, and friends.